The Russian Ambassador to India spoke to reporters about the Vladimir Putin’s upcoming visit to New Delhi and prospective areas of bilateral cooperation. Can you please tell us about the schedule for Russian President Vladimir Putin’s official visit to India on December 11? Please keep in mind that this is a regular meeting of the leaders of Russia and India, which takes place once every year, alternatively in Moscow and New Delhi. The last meeting was in October 2013 in Moscow. Relations between Russia and India are at a very high level at the moment. With regard to the upcoming visit, we expect President Putin to confirm the immutability of our policy of friendship, cooperation, and special and privileged strategic partnership. India was, is, and will be our best friend. The visit will be the first full-fledged summit between India and Russia after the new government’s accession to power in New Delhi. It promises to provide a full slate of events on various topics. About 15 important bilateral documents are expected to be signed, including some in the field of military-technical cooperation. Another important document is being prepared in peaceful nuclear energy, which will be discussed at a future meeting; both countries will continue their cooperation in this area. 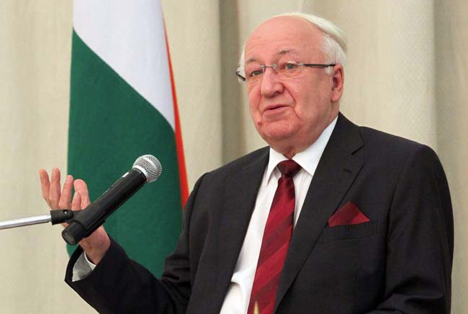 How do you assess the results of Tatarstan President's visit to India earlier in November? The visit was very constructive and useful. Russia and India welcome the development of direct links between the regions and entities. From this perspective, the leader of Tatarstan’s visit was exemplary. Concrete agreements were reached in perfectly feasible ways. What else do you think that Russia and India have in common? I’ll give you one example. India is gaining popularity as a destination for medical tourism. Doors should be opened widely in all areas. Let’s start with India’s medical tourism, which many in Russia are unaware of. Hospitals in India are not inferior to world standards. Another area is education. At the summit, the leaders of our countries will discuss the expansion of student exchange programs. India has introduced electronic visas. This will also contribute to an increased influx of tourists and businessmen. Cooperation in the field of tourism must also be developed. Do you think that the upcoming trip will give a real push to develop our bilateral relations further? Of course. No doubts about that.